The following is a list of all public land and building assets for which Hauxton Parish Council is responsible. This information is provided under the “Transparency code for smaller authorities”, contained within the Local Audit and Accountability Act 2014. 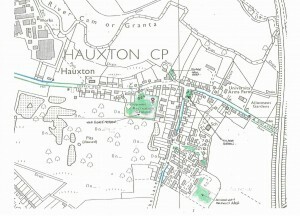 The open green spaces are illustrated on the map below (Click for larger image) Additionally with effect from 8 September 2015 the Hauxton Sports Ground (formerly the sports field belonging to the Bayer Sports and Social Club) was transferred to the Parish Council and is now owned and managed by them. The village hall was purchased by the Parish Council for the sum of £10,100 on 30 April 1976. 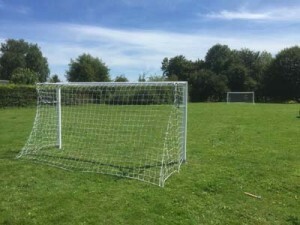 This large open green space with football pitch and children’s play area occupies 1.32 Ha in the middle of the village. If you would like to make use of the Recreation Ground for an event, please see the Recreation ground rules of use. (PDF file: 97kB). 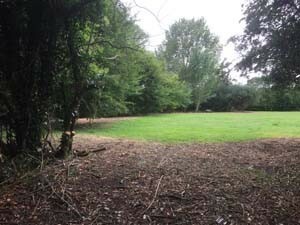 The Parish Council have recently invested in an operation to clear the undergrowth in the wooded area of Willow Way to provide better access for families and children. This area had become impenetrable due to brambles, elder and nettles. Also to encourage use by youngsters in Jopling Way, Willow Way and the Lane area, new goals have been installed, complete with nets. Land north of Jopling Way, Hauxton. This green space occupies 0.11 Ha. 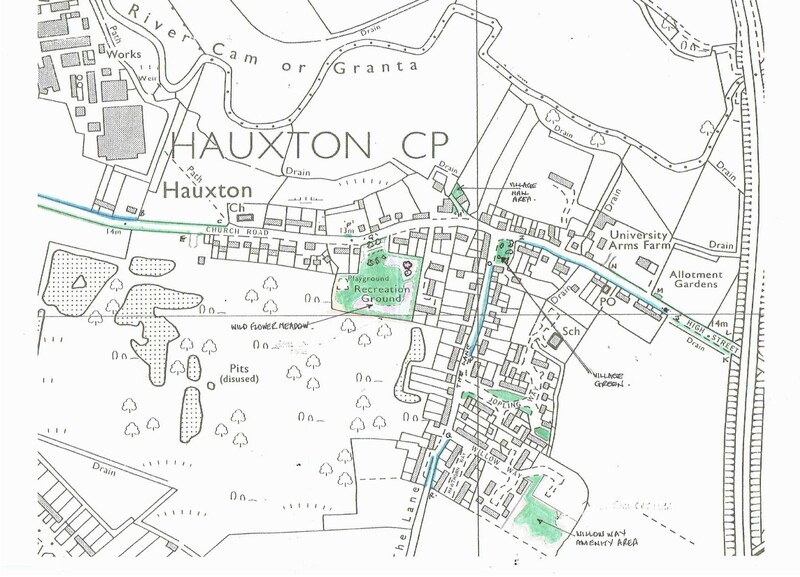 This green space is owned by the Hauxton Town Lands Trust (Charity Reg. No. 202961). The Parish Council manages the land on their behalf, eg grass cutting, tree management, etc.